John Hurley’s classroom looks more like a workshop than anything. Old, industrial machines sit quiet, waiting, but other parts of the room come alive as students start cutting metal or assembling small engine parts. 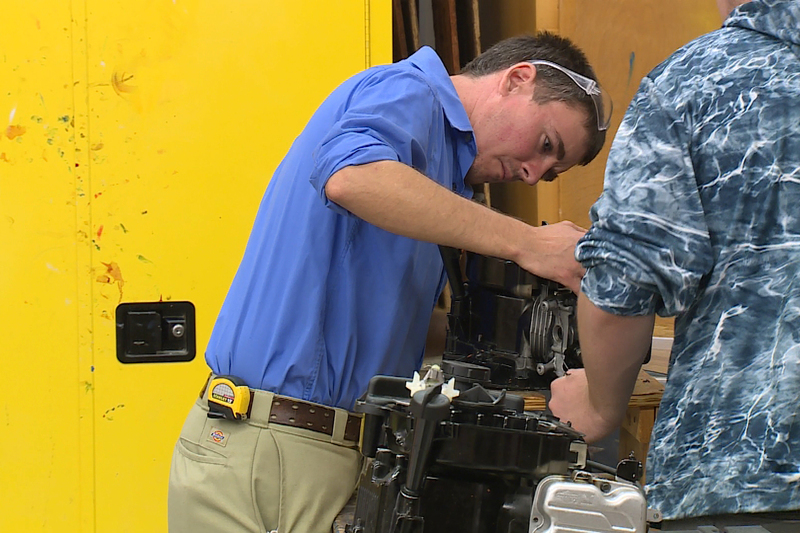 Hurley makes rounds to check in on each of them – it’s a workflow he knows well, since he’s been a career and technical education instructor in Spencer County for nearly a decade. He loves his job, but he says lately, new policies from lawmakers have taken power away from people in schools – the ones directly affected by the changes. “Most of that control has gone essentially to Indianapolis,” he says. 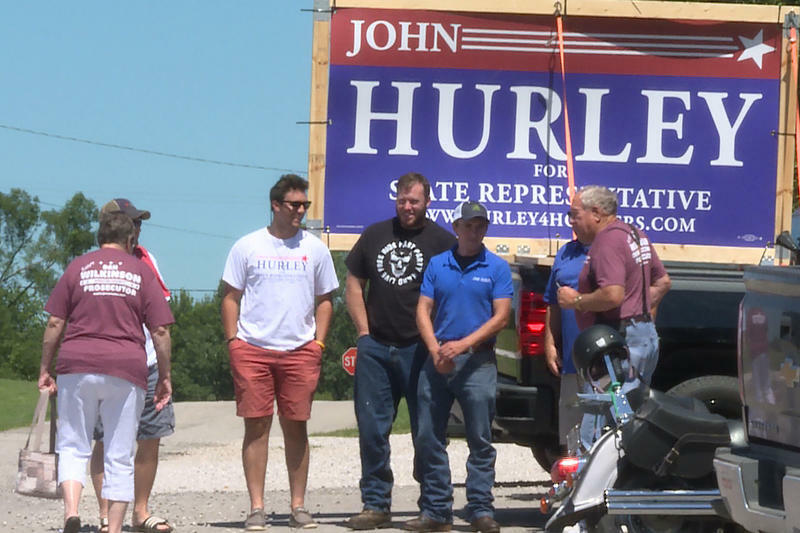 Hurley wants to give public schools and educators more say in important decisions, so this year, he’s running for a seat in Indiana’s General Assembly. Hurley’s not the only educator with eyes on the statehouse. Teachers across the country are running for office too, with campaigns focusing on the key issues that led to massive teacher protests earlier this year: school funding and pay. 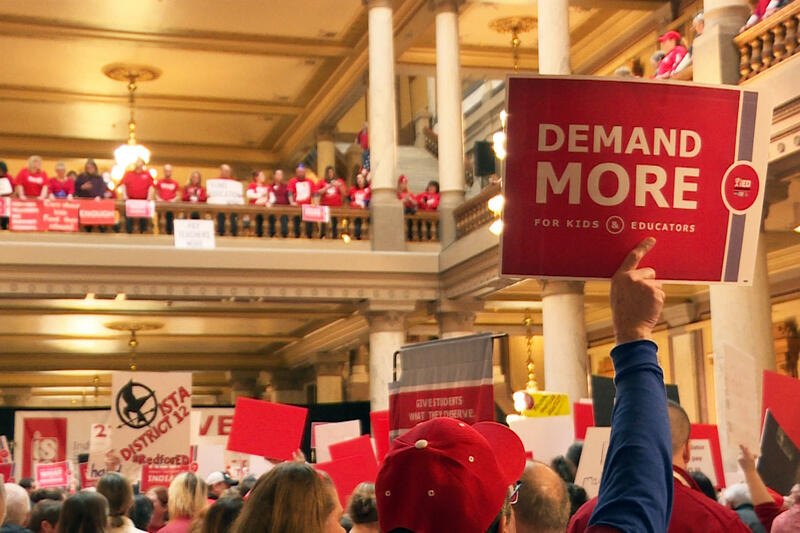 Indiana’s pool of candidates is smaller than states like Oklahoma or Kentucky – the site of some of this year’s teacher strikes and home to more than 80 teacher candidates – but they echo some of the same frustrations. “I think the wave you’re seeing across the country is just beginning to bubble up here,” she says. School funding is a big motivator and point of debate for Hoosiers. An analysis from the American Federation of Teachers earlier this year shows Indiana’s public education funding never returned to pre-recession levels. Another report from a separate teachers union, the National Education Association, points out that teachers in the state are paid less now than they were a decade ago after adjusting for inflation. Funding isn’t the only hot button issue; big shifts in policy have educators on edge too. 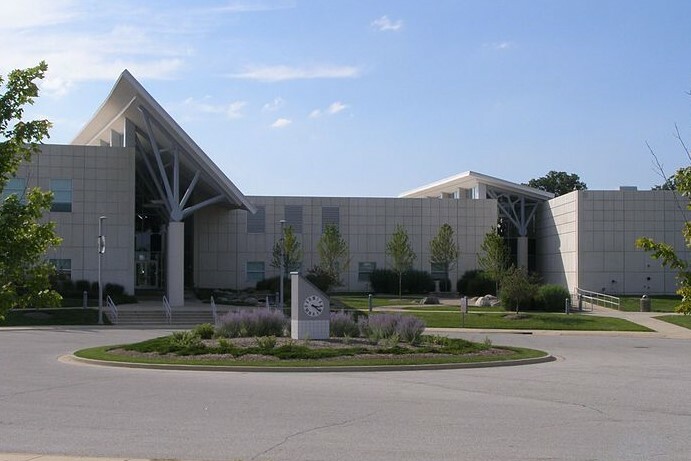 Last year, Indiana’s State Board of Education approved new graduation pathways despite hours of public testimony opposing or asking for a delay on the plan. Then during a special session in May, lawmakers approved a controversial school financial management bill after two school corporations were taken over by the state in 2017. Meredith says not every lawmaker needs to be an expert in education, but they have a responsibility to talk to people who are. State Rep. Tony Cook (R-Cicero) has seen both sides. His teaching and school administration experience spans 40 years. He’s retired now, and serves as the vice-chair on the House education committee. He says the reality of lawmaking means even the best bills hardly ever leave the statehouse the way they started. A law Cook authored earlier this year changed how schools can manage their funds, and he supported several others as they went through the process. He says he hears teacher’s frustrations and agrees they should earn more money – but they aren’t the only ones asking. “Teachers need to understand that that okay you got everybody else waiting in line, you got all these other people coming at you, firemen, police, and that never stops,” he says. Lawmakers reconvene in January, and the next session includes crafting the state budget – meaning teacher pay and education funding will certainly take the stage. 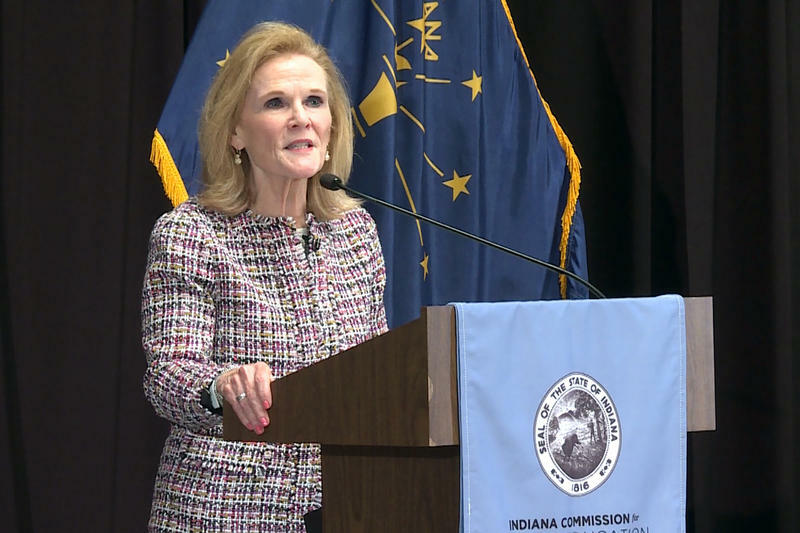 During the last budget making session in 2017, lawmakers approved slightly more funding per-pupil in Indiana, but the state’s education budget also included an expansion in funding for the state’s voucher program. The move increased funding for vouchers by more than $300 million, or 14.6 percent – which public education advocates continue to say takes vital funding out of already struggling public schools. Educators and their unions will be watching closely as the next session plays out though, and whether teacher candidate Hurley is doing that from his classroom or from a seat in the statehouse, he says his campaign and those of other teachers have already sent a message.